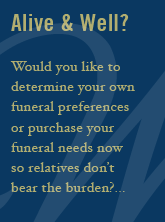 Detroit Wilbert offers burial vaults, cremation urns, and burial vault personalization to 3 counties in Michigan, catering to the needs of families through cemetery and funeral home professionals. In addition, Detroit Wilbert offers human cremation services to Detroit and the surrounding areas, and Paws & Remember pet cremation to Clinton Township. Detroit Wilbert also provides burial vault services including set up, tent, chairs, and disinterment.